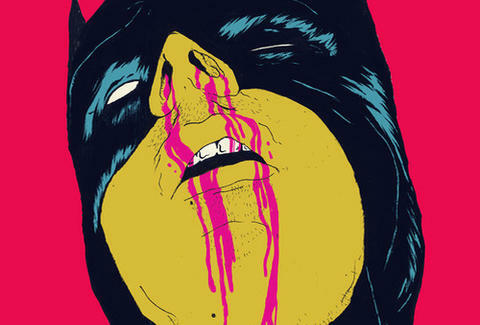 From Liverpudlian pop-artist Boneface, who survives on a "staple diet of videogames/ cartoons/ comic books/ crappy B-movies", these gleefully villainous prints offer colourful renditions of beaten superheroes, like Iron Man weeping blood in "Smack! ", and Batman bleeding from the nose in "Crack! ", though considering the symptoms and the size of his bank account, it's more likely to have been "Cocaine! ".